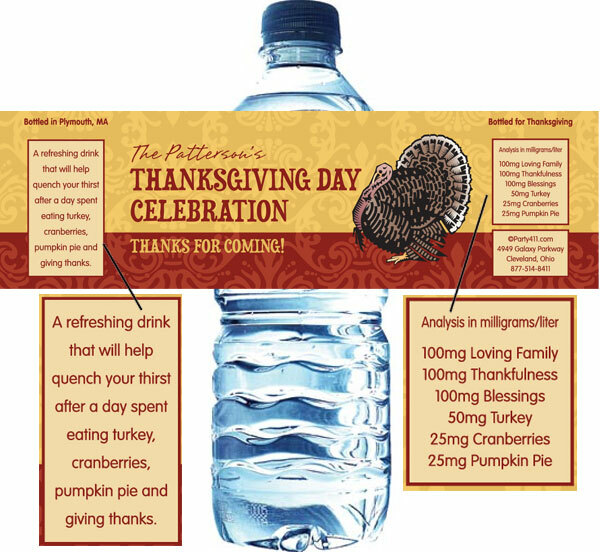 Party411.com offers personalized Thanksgiving theme water bottle labels. 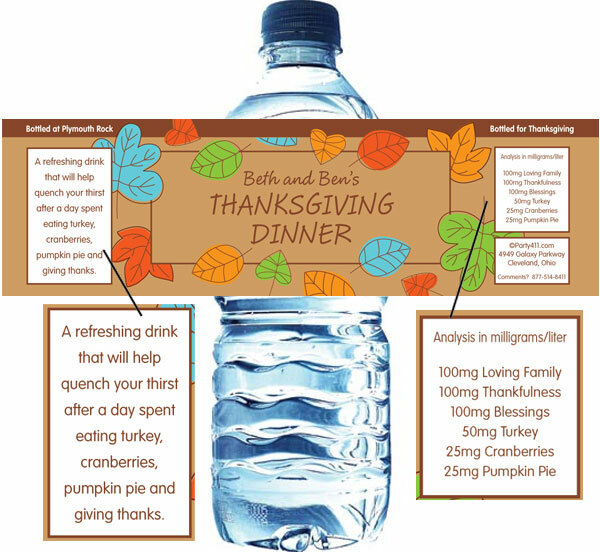 These water bottle labels will be a great addition to the thanksgiving table this year. 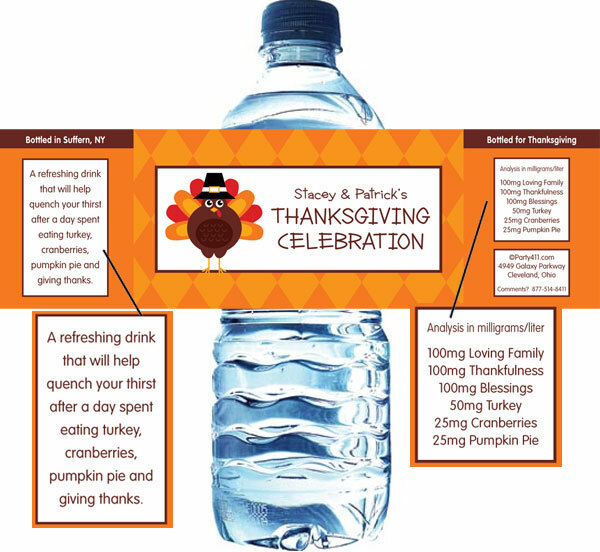 Serve your guests with personalized fall theme water bottle labels. 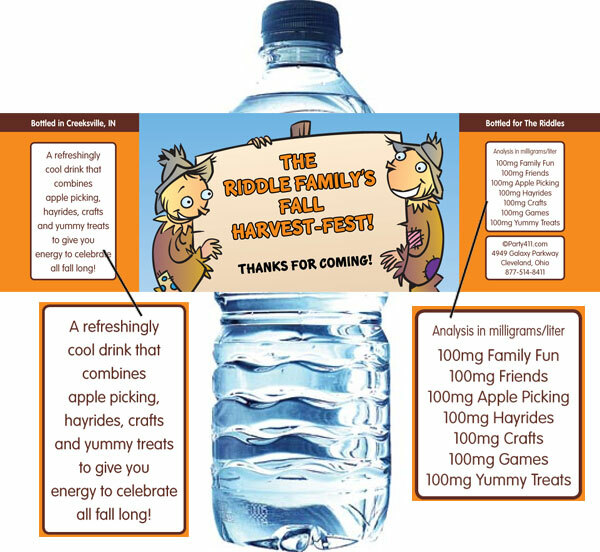 Serve your guests with fun Fall theme water bottle labels. Give your guests fall theme water bottle labels. Serve your guests fall themed water bottle labels. 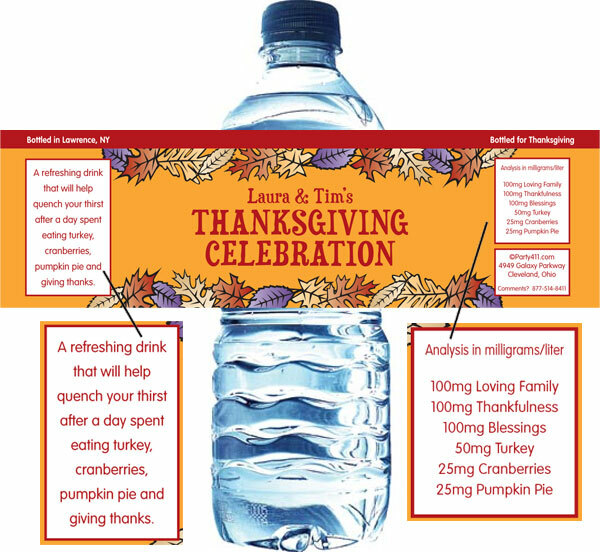 Serve your guests Thanksgiving themed water bottle labels.